It appears that Mellor’s family were Auctioneers, Valuers and Fire Loss Assessors. On 9 October 1928 it was reported in the London Gazette that a Partnership between Sir George, his brother, Ivor (Ivie) Mellor (1872-1934), and Robert Reuben Redford called, ‘Allen Mellor and Company’ of 21 Queen Street, Oldham, be dissolved by mutual consent and that the business would be continued by just Ivie Mellor and Robert Redford. The King's Lancashire Military Convalescent Hospital George Mellor JP was appointed his knighthood in 1921 for public and national services, particularly in connection with The King’s Lancashire Military Convalescent Hospital, Squires Gate, Blackpool, which had a specialist neurological section for officers. 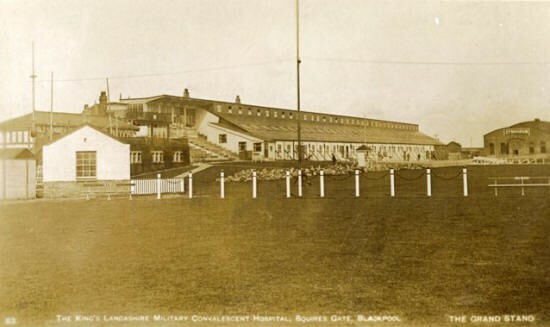 In October 1915 the army commandeered the Clifton Park Racecourse at Squires Gate (site of Blackpool Airport, 2014) and converted it to a 4,600-bed hospital to treat wounded soldiers. It was known as The King's Lancashire Military Convalescent Hospital. There is a short video of this Red Cross Hospital being built in 1915 on the British Pathé website click here. 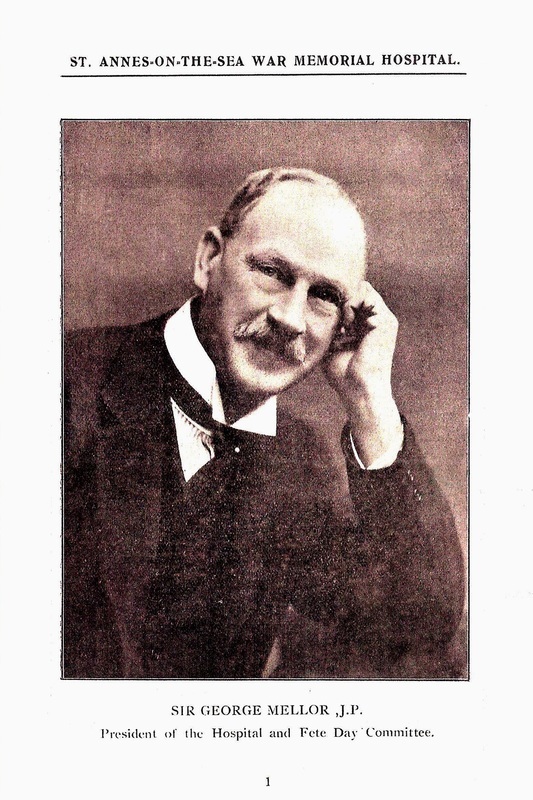 Sir George Mellor was Chairman of Central Funds at the hospital between 1915-1919. 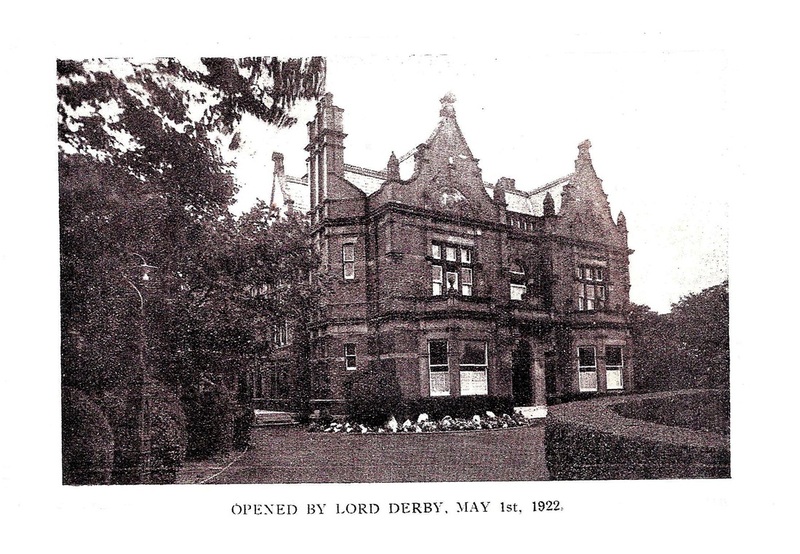 After the end of the war the hospital was converted into The King’s Lancashire Convalescent Centre, where Mellor was the chairperson of the County Fund. Here, they helped disabled soldiers return to civilian life. 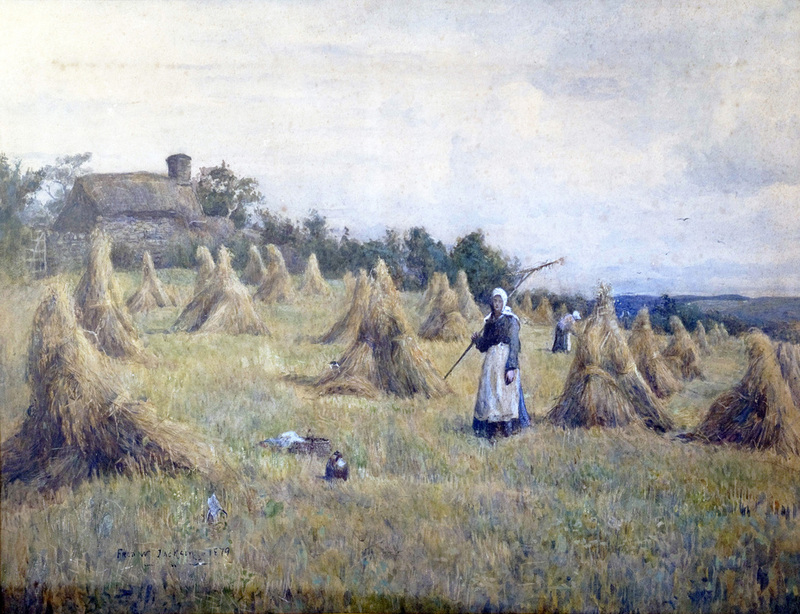 Mellor devoted himself to the development of hospital work, particularly in regard to ex-service men. 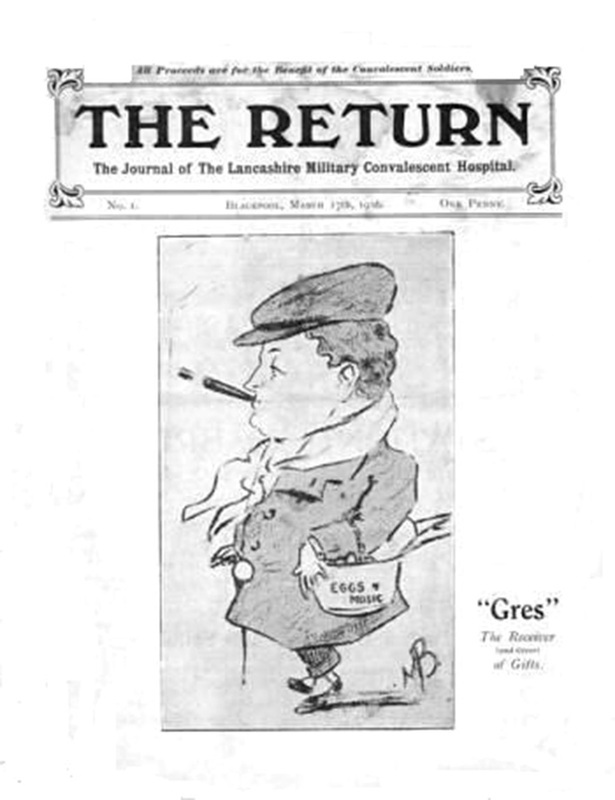 The hospital had its own publication (1916-1919) called ‘The Return - The Journal of the Lancashire Military Convalescent Hospital’. It was first issued 17 March 1916 and sold for one penny; all proceeds went to benefit the convalescent soldiers. Scottish poet, Archibald Stodart-Walker (1870–1934), often wrote verses that appeared in the journal and which were later published in his book ‘Occasional Verse’ (1920). Two verses were dedicated to George Mellor, whom he must have met at the hospital during his five years of service in the First World War. In pouring forth the vintage of your grace. Has seen your lamp of welcome in the night. Sir George Mellor was president of the St Annes on Sea War Memorial Hospital, opened in May 1922 by Lord Derby. Lord Ashton had bestowed this, the former Bannister family home, upon the community to honour local war dead. Supported entirely by public subscription until 1948, it closed in 1991 and was demolished in 1996. 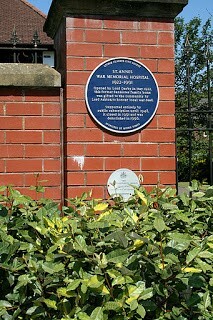 Situated at the far end of St Annes Road East lies the 'remains' of the hospital where an English Heritage ‘blue plaque’ has been placed. RNLI Royal National Lifeboat Institution Sir George Mellor was appointed to Honorary Life Governor in July 1932 in recognition of the work he had done on their behalf. This is the highest award the Royal National Lifeboat Institution can bestow. 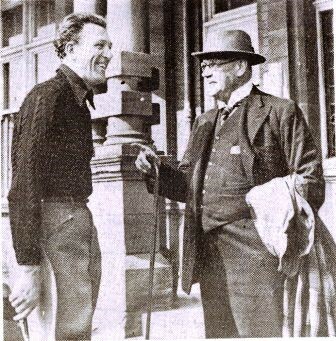 Above is an image of Sir George Mellor JP (right) chatting with the actor Carl Brisson (1893-1958) at the Grand Hotel, St Anne, in 1936. 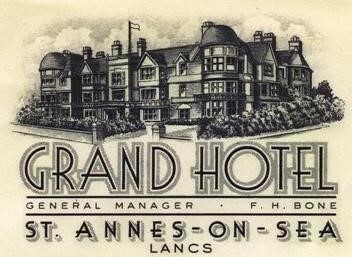 Mellor was a long-term guest at the Grand Hotel. Brisson regularly performed at the Grand Theatre, Blackpool, in the 1920s whenthe theatre began to be used by top West End producers for British premieres. For forty years many plays and musicals were seen there ‘prior to London’. Royal Lytham Golf Club This Silver Iron was presented in 1892 by John Talbot Clifton of Lytham Hall (1869-1928). He had been elected Honorary President of the ‘Royal Golf Club’ in 1890, taking over the position from his uncle, Wykeham Clifton. Talbot Clifton remained President of the Club until his death in 1928. It was in the 1920s that Talbot’s wife, Violet, a close confidante of Her Majesty Queen Mary, secured the designation of ‘Royal’ for the Club. The Silver Iron is displayed in its own case in the Club Room; Sir George Mellor presented this wooden carved case in 1922. 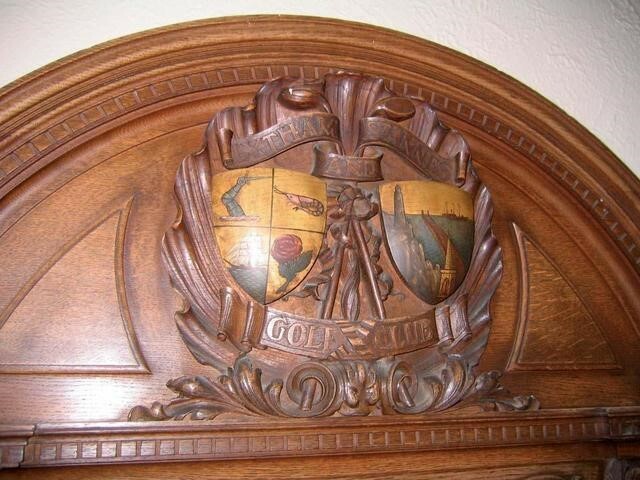 The ornate carving at the top of the case refers to the Lytham & St Annes Golf Club, as the Royal designation was ‘officially’ still some four years off. Inside the case are the signatures of all the winners of the event, beginning with the inaugural competition in 1892. Included are some very famous names such as H H Hilton and John Ball Junior, who won the trophy eight times and four times, respectively, in the 12 years between 1893 and 1904. This article was a plea for information about Sir George Mellor, his family and his motoring history in the Fylde. Sir George Mellor, resident of the Grand Hotel, was the first registered owner when it came off the production line in Derby in 1924. The new owners of 'Rex' were anxious to fill in the details of its history. Further information has been discovered since. The car was actually ordered by Sir George’s brother, Ivie, on 15 April 1924. The chassis was built and tested, giving the car it’s official birthday of 9 May 1924. On 20 June 1924 the completed chassis was delivered to Messrs Joseph Cockshoot and Company, Manchester, who then built the body. This was completed and the tested car delivered on 16 September 1924 to Sir George Mellor, who had taken over his brother's order and became the car's first owner. If you are interested in more about ‘Rex’, written by its owner in 2011, follow this link: http://c31.sitepreviewer.com/chessf.co.uk/rr/rrhist4.htm#DERBYNEWS. Sir George Mellor also had a passenger vessel, built in 1935 by Borwick & Company of Windermere, at 63.00 feet (19.21 metres) long with seating for 120 passengers and accommodation for 40 in the cabin, which was furnished in blue velvet with mahogany and brass fittings. She was launched on Lake Windermere and said to be named ‘Annie Mellor’ after his sister. 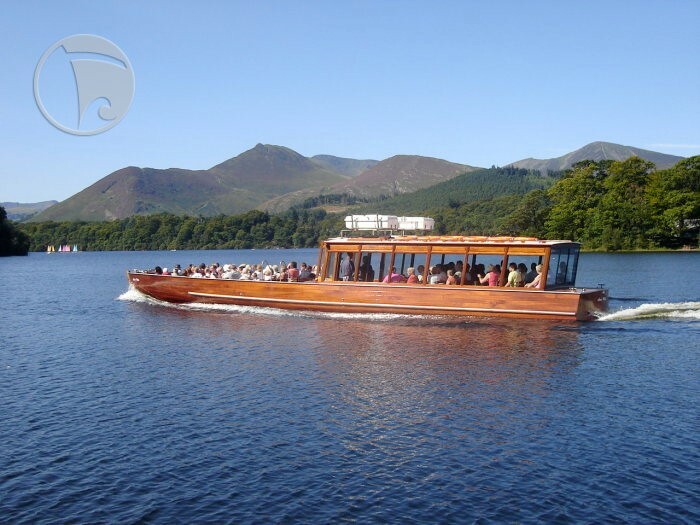 She was restored in 2005, then totally rebuilt in 2008, and is currently based at Keswick in the Lake District, where she operates cruises on Derwentwater. 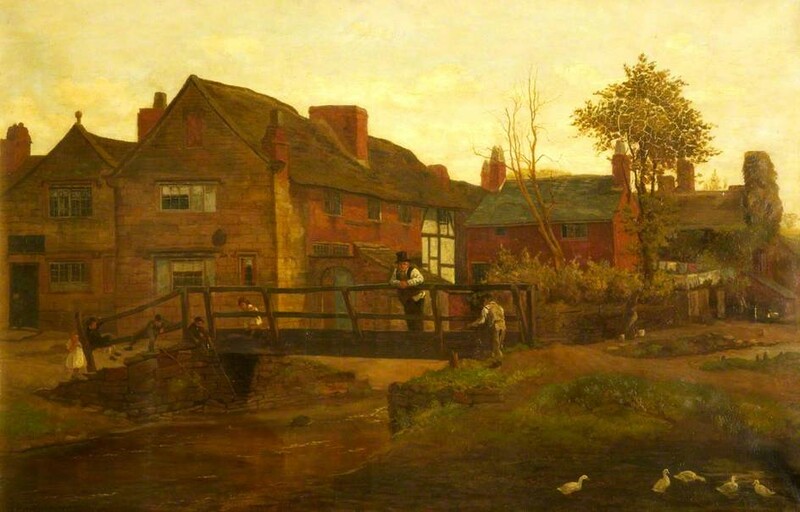 In 1926 Sir George Mellor also gifted a painting to the Oldham Gallery Collection, an oil on canvas, 65 x 95 cms, by John Haughton Hague called Chadderton Fold, Oldham, Lancashire, painted 1881–1887.